There’s a high demand for pharmacy technicians in the healthcare and pharmaceutical industries. 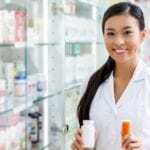 The Bureau of Labor Statistics expects employment of pharmacy technicians to grow faster than the average for all occupations due to continuous demands for pharmaceutical care services and products. An aging population, increase in medication availability, and advances in technology also contribute to the demands for pharmacy technicians in all practice settings. Complex health care issues increase the need for educated, trained, and competent support personnel. As a result, more states and employers expect technicians to be certified by a recognized association to improve the delivery of service and reduce medication errors. Federal and North Carolina laws and regulations and professional standards govern the practice of pharmacy technicians, including certification requirements, within the state. Wake Technical College prepares pharmacy technician students for employment as an entry-level worker in health care where they support licensed pharmacists in the provision of medications, medical equipment, over the counter drugs, and pharmaceutical care services. The collaborative program involves general education courses at Wake Tech and pharmacy courses at Johnston Community College Workforce Development Center. At the conclusion of the program, graduates will have the clinical experience to work in a variety of pharmacy and health care settings, become certified pharmacy technicians after successfully completing the PTCB exam, and meet the legal requirements of having an AAS degree in pharmacy. While enrolled, students will attend classroom lectures, laboratory, and clinical components and gain a broad knowledge of pharmacology, professional ethics, drug interactions, non-sterile medication compounding, drug delivery systems, pharmacokinetics and pharmacodynamics, and prescription and medication order processing. Other topics include health care systems and pharmacy practice, quality assurance and improvement, pharmacy purchasing and inventory management, control substance procedures and management, and medication dosage forms and administration. Laboratory actives and clinical experiences help students develop leadership, interpersonal, communication, computer, critical thinking, collaborative, mathematical, organizational, and management skills. Applicants must submit a completed application, provide official transcripts in a sealed envelope, apply for financial aid, take the placement test, attend an orientation meeting, and complete a criminal background check. Durham Tech’s pharmacy tech program prepares students for the role of a pharmacist’ assistant. As allied health professionals, graduates will qualify for work in a variety of settings where they’ll work under the supervision of a registered pharmacist. Students receive training in medicine dispensing, pharmaceutical math, microcomputers, pharmacology, pathophysiology, and microcomputers. Clinical skills development will take place in a simulated pharmacy technology lab and during the externship experience at Durham Regional Hospital, Duke University Medical Center, University of North Carolina Hospitals, and retail pharmacies in the community. There are limited spaces in the program, so acceptance of eligible students will be decided on a first-qualified, first-admitted process. A criminal check and drug test are required to participate in the clinical externship. Other requirements for acceptance include an ability to communicate clearly in English and completion of the clinical training form. Immunization against infectious diseases is recommended. The program is offered as a six-semester degree or three-semester diploma program. Tuition per credit for North Carolina residents is $76. Johnston Community College prepares pharmacy technology students to provide those duties a pharmacy technician can legally perform. Graduates are eligible to take the PTCB exam to become certified pharmacy technicians. Students will learn how to mix intravenous solutions, prepare prescription medications, maintain inventory, update patient profiles, package medications in multiple forms, and gather the information required to monitor drug therapy. To enroll in the program, an applicant must submit a completed application and official transcripts, meet the requirements for Chemistry or Biology, and Algebra, meet the requirements to place in English 111 and Math 110, and attend an interview with an admissions counselor. Upon acceptance, students must attend a program orientation, submit documentation of sound emotional and physical health, consent to a background check and random drug screen, and provide evidence of CPR certification and health insurance. Tuition for the 12-month program is $3,188. Books and supplies will cost an additional $2,050. The pharmacy technician course at Wilson Community College is a 96-hour course comprising of classroom, lab, and clinical instruction. 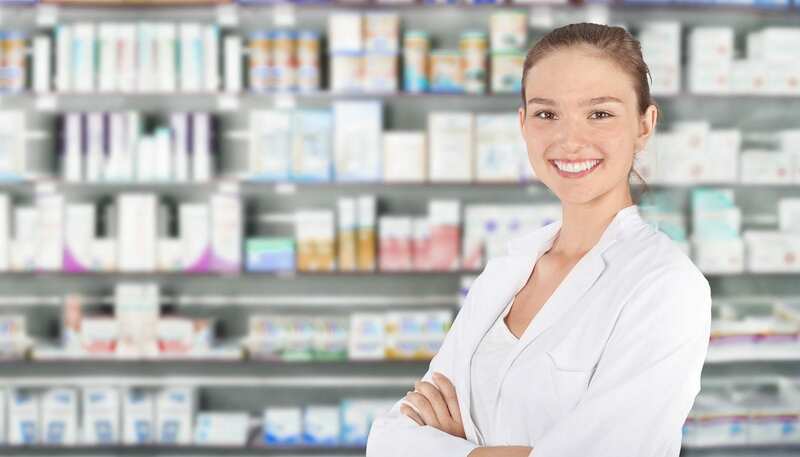 Students develop the knowledge and skills to assist registered pharmacists with the day-to-day activities of a retail, mail-order, or institutional pharmacy. Registration for the program requires a copy of high school diploma or equivalent, identification, and social security card. Graduates are eligible to take the PTCB exam for national certification. Classes meet Mondays and Thursdays from 6:00pm to 9:00 pm for approximately four months. Fees and textbooks cost $300.